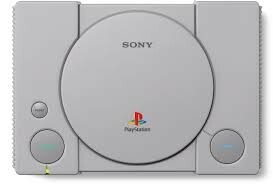 The upcoming PlayStation Classic has been found to use the open-source PCSX ReARMed emulator to run its games. The emulator has been developed by retro gaming enthusiasts, not Sony. It's curious that Sony opted to use an emulator rather than develop their own system for the retro console. Miniature retro-themed consoles are all the rage. Ever since Nintendo’s NES Classic Edition, it seems like every gaming company is trying to cash in on the nostalgia. However, some of them may cut corners with production in an effort to jump on the bandwagon before it pulls out of town. Sony may be one of those. As it turns out, the gaming company is using the open-source PCSX ReARMed emulator for their upcoming PlayStation Classic. Chris Kohler pointed this out in an exclusive hands-on report published by Kotaku earlier this week. PCSX ReARMed (PCSXR) is a PlayStation 1 (PSX) emulator based designed for ARM-based machines. PCSXR is based on the uber-popular PCSX Reloaded emulator, one of the most widely distributed PSX emulators. It’s interesting that Sony has resorted to using an open-source (read: not made by them) emulator for their commercially-sold console. PCSX Reloaded has been the basis of countless homemade retro machines since its release years ago. It is rather telling that Sony would build a commercial product on the work of members the retro gaming community rather than develop a system in-house, but they likely have their reasons. On the plus side, this may make it easier to hack the PlayStation Classic and load your own games on it.